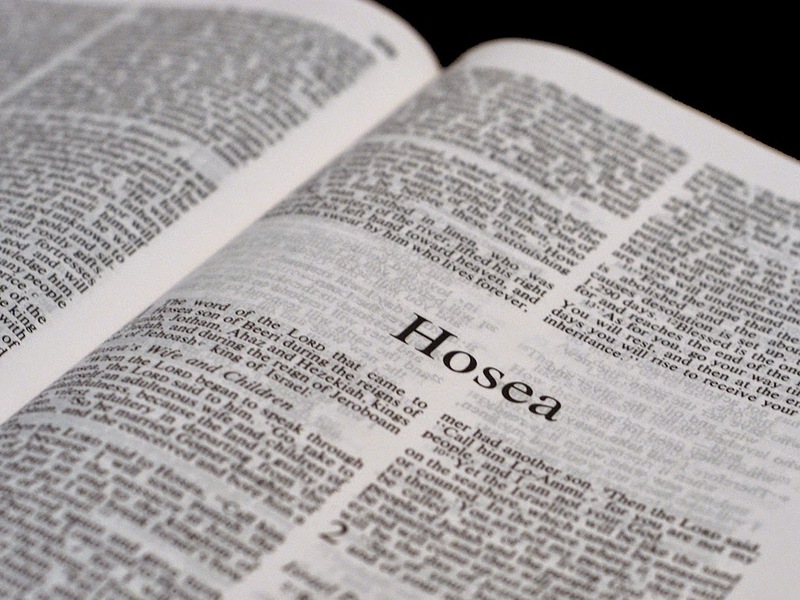 I am enjoying the Bible Study on the book of Hosea from She Reads Truth. Today was on the first chapter, and it really makes you think about your attitude towards God. Take a wife who will not be faithful to you, get real good and attached to her, and have babies with her. Name them “I Will Punish” and “No Mercy” and “Not My People.” Why? Because they would be human flesh-filled examples of the rebellious people God was calling to Himself. Speaking about God was not enough. Hosea was called to live out a redemptive story, to love like the Father. How often do we get caught up in the worshipping of self and become completely engrossed in our own selfish motives that we completely turn our lives away from God, and what is right and just and Christ like? I know that no matter how much I want to spend time with my Bible, I put it off, time and time again..... I fall into Satan's trap, and find excuses to not find time or just put it out of my mind altogether. As the example above points out, we are a rebellious people, and God knew this before he even created each and every one of us..... And knowing the heart wrenching truth, formed us into creation anyway.... Wow.... Knowing full well we would be completely ungrateful at times, and honestly for me, all to often, he still loved us so much he made each one of our lives possible. What an amazing love he has for us.....unconditional, all encompassing, and eternal. I feel so inadequate in my devotion and commitment to God, will I ever get to the point that I feel worthy of his love for me? Thank you Lord for not giving up on me when I fail you, I need you, even when I don't seem to realize it.... I will always need you to be by my side and guide me and my willful nature.